Ernesto Moeri is the founder of Ekos Brasil. He graduated from the University of Bern, Switzerland, with a PhD in geology. In 1975, Ernesto Moeri began his professional career as a mineral exploration geologist, working in a wide range of countries such as the USA, Greenland, Bolivia and Brazil. In 1980, he founded Geolock, which is the market leader for environmental technology innovations today. He is currently the president of Ekos Brasil. Maria Cecilia Wey de Brito earned a master’s degree in Environmental Science from the University of São Paulo, as well as holding a bachelor’s degree in Agronomic Engineering from the Escola Superior de Agricultura Luiz de Queiroz ESALQ/USP. She held the position of CEO for WWF-Br for four years. For the Federal Government, she worked at the Ministry of the Environment as the National Secretary for Biodiversity and Forests. In the state government of São Paulo, she was the Director General of the Instituto Florestal and the Executive Director of the Fundação Florestal. 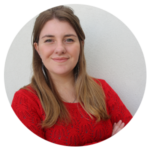 She has been working at Ekos Brasil as project coordinator and institutional relations representative since 2016. 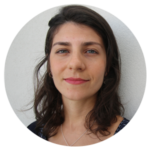 Ana Cristina Moeri holds a master’s degree in geography from the University of Zurich, Switzerland, with a specialization in projects involving carbon forestry and attendance of a Field Ranger Course at SENAC/SP. She has collaborated as a Senior Project Coordinator for Latin America at ‘First Climate’. 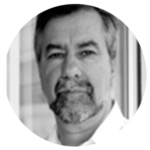 Moeri has also worked as an author, co-author, and reviser for several Project Design Document (PDDs), in addition to evaluating the risk profiles of several carbon projects. She modeled the growth of biomass and the ex-ante generations of carbon credits from various projects regarding carbon capture volume by forests. Since 2011, she works as a coordinator of carbon and conservation projects at Ekos Brasil. 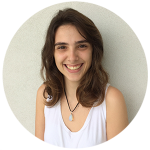 Camila Dinat studied Agronomic Engineering and holds a Bachelor’s degree in Agrarian Sciences, attaining both diplomas at the University of São Paulo ESALQ/USP. Her past experiences include the spheres of rural extension, agro-ecology, and education. She has worked with alternative methods of production and rural development with family farmers, and also has training in Urban Agriculture. Camila joined the Ekos Brasil team in 2013, and currently undertakes the role of coordinating Management Plans for Protected Areas and biodiversity conservation projects. 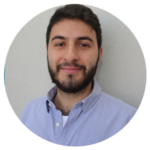 Iago Rangel studied Environmental Management at the University of São Paulo EACH/USP, with additional studies in Solid Waste Management at the University of Porto, Portugal. His past experience includes carbon credit generation in the voluntary market, GHG inventories, as well as the socio-environmental evaluation of projects. 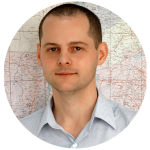 Since 2017 he is part of the Ekos Brasil team, where he works in the area of biodiversity conservation, organization of events of management of contaminated areas and is the secretariat of the NICOLE Brazil network. Jéssica Fernandes earned a degree in Biological Sciences with a focus on the Environment at the Sāo Camilo University Centre. She has provided support for research in molecular biology and has also worked with basic education. 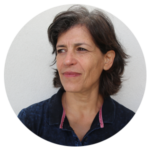 At Ekos Brasil, she organized the first Solid Waste Management Seminar, and currently works with impact investment and Protected Areas. It is an organic compound and since being buy montelukast sodium uk bought out..
Thiago Othero has twelve years of experience with emissions reduction projects and corporate carbon management services. Thiago is graduated in Biological Sciences and holds a Master of Business Administration in Project Management. He was responsible for the development of Greenhouse Gas (GHG) emission reduction projects under the Clean Development Mechanism and under the voluntary carbon market. 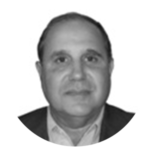 He has worked in the development of low carbon corporate strategies for companies in the financial, energy, industrial, civil aviation and other sectors. 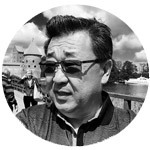 He acted as Technical Coordinator in the process of creating the Ekos Social Platform. Luísa Rodrigues is an International Relations student at PUC São Paulo. Her past experience includes her work in the membership department of the German Chamber of Commerce and Industry of São Paulo where she was responsible for attract new members for the organization, and she worked in the Corporate Access team from XP Investimentos, controlling the contacts database. 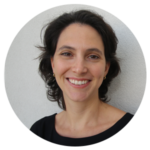 At Ekos Brazil, her activities include assist the NICOLE Brazil Network and the organization of events of management of contaminated areas. 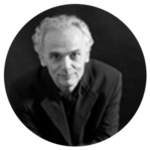 Araquém Alcântara is a photographer, editor, professor and journalist who graduated from the Faculty of Communication of Santos, and is one of the pioneers of ‘nature photography’ in Brazil, is considered to be one of the most important and influential photographers of the country today. Alcântara was the first photographer to visit all Brazilian National Parks, which he pursued during his 15 years of travel around the country. He has published 48 books about Brazilian nature and people, earning more than 70 literature and photography awards. 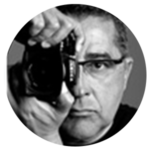 Moreover, he is the first Brazilian photographer to produce two special editions for National geographic magazine: ‘Amazônia’ and ‘Bichos do Brasil’. Délcio Rodrigues is a physicist, environmentalist, entrepreneur, adviser for the Vitae Civilis Institute, and a consultant for the GSCC international network. He was one of the individuals responsible for bringing Greenpeace to Brazil and has worked as the director of the organization’s campaigns for several years. He was the Executive Director of Ekos Brasil, advisor to the Executive Secretariat of the Ministry of Environment, Global Team Leader of Greenpeace International, Coordinator of Instituto Akatu for Responsible Consumption, and also served as Energy Planning Analyst and Environemntal Relations at Jaakko Poyre and CESP. Paulo Artaxo studied physics at the University of São Paulo (USP) and coordinates the Atmospheric Physics Laboratory at USP. He is a member of the UN Intergovernmental Panel on Cliamte Change (IPCC), member of CONAMA (National Environment Council), and one of the most cited academics in Brazil. Currently, he works with impacts of global changes on the Amazonian ecosystem, as well as with environmental issues. Sergio Goldemberg studied Agronomic Engineering at the University of São Paulo (USP). 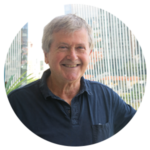 After spending 22 years working with agricultural irrigation in both Brazilian and American companies, he founded Algae Biotecnologia, a company dedicated to the development of microbiological solutions for energy and environmental applications. Cristina Sancini is a Business Administrator, graduated from the School of Business Administration - ESAN, she has an MBA with an emphasis in Marketing, from Business School São Paulo. With more than 30 years of experience in the area of management, strted her career in the export and import area, and later migrating to the administrative and financial area, acting as Corporate Director in the ECOGEO S/A, being responsible for administrative, accounting, financial, human resources, legal sector and governance. Jaime Ohata, Geologist graduated from the Universidade Estadual Paulista, Rio Claro/SP and Ekos Brazil Advisor. 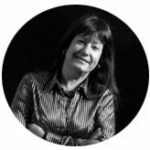 After your graduation in 1981, Jaime Ohata began your professional career as a mineral exploration geologist, working in the Amazon, Chile (region of Patagonia), Bolivia, Uruguay and Brazil. In 1987, he joined the Environmental Engineering Geoklock, becoming managing partner in 1992, today market leader in environmental technology. Since 2014 Jaime acts as consultant and independent Director.